Quite frankly, Yes, this blew my mind, and I want to shout at everyone I know to READ THIS (or listen, as I did; the narration is sublime). It's a must read book. It's old, but I was looking about something on Lyon, France, where I studied abroad during law school and incidentally learned some about the resistance. It always has amazed me that a popular historical novel about Lyon during WWII doesn't exist in English (that I know of, so if you know of one please please tel me). Non-fiction and surreal, considering the difference in how I listened to it now verses several years ago. Important stuff, and what a woman!!! 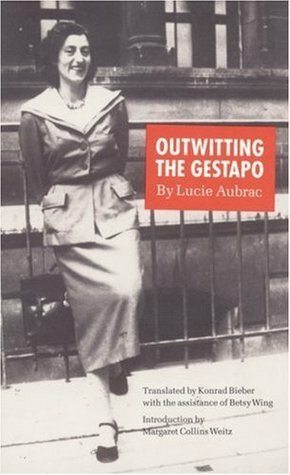 Sign into Goodreads to see if any of your friends have read Outwitting the Gestapo.